Wooden pine cabinet with metal sign, single shelf inside. Cabinet is 19 1/4" tall x 16 3/4" wide. 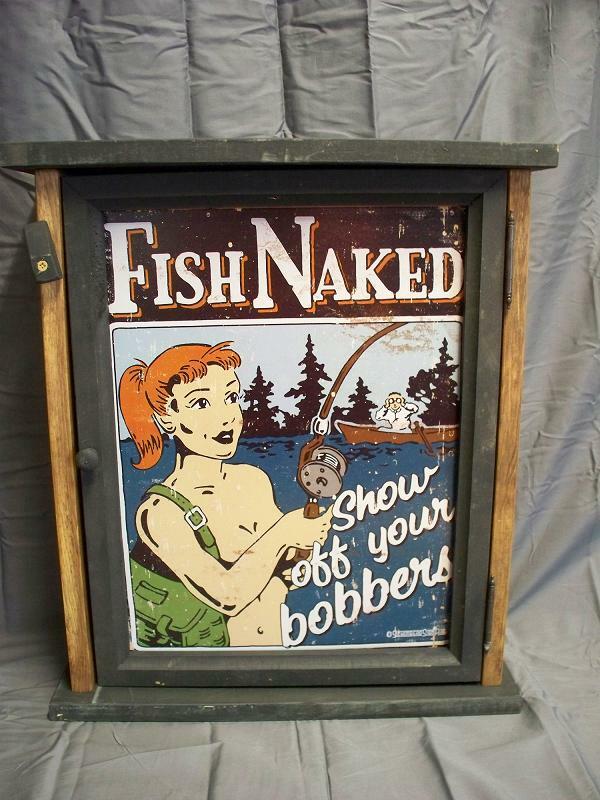 Great item for the "man cave".